Neither of those approaches really work well in a practical way. What does work? There’s one thing that can help answer many of the concerns marketers have about content and that also helps you cut to the chase for practical implementation: Understanding the customer journey. Google Think Insights has a great post with tools to help marketers better understand how different content and channels affects customers during the buying cycle or customer journey to online purchase. Check it out and then come back. Welcome back. Google has some of the best content marketing, don’t they? There’s a saying that goes something like, “Walk a mile in a man’s shoes to really understand where he’s been” that reflects what a lot of companies don’t consider when creating their digital marketing plans. Understanding the customer experience from awareness to consideration to purchase folds well into the core principle of Optimize – to empathize with your customer and understand how they discover, consume and act on information. By doing so, you can create a practical digital marketing plan that optimizes for attraction, engagement and conversion. To put that idea of customer empathy in action, I put myself in the position of a customer and documented my journey from curious social browser to a highly motivated searcher. 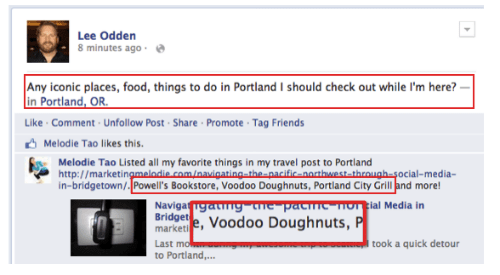 I started on Facebook, asking my network (as many people do) for recommendations on things to do and see in Portland. Immediatley, Melodie Tao not only made several recommendations including Powell’s Bookstore, Voodoo Doughnuts and Portland City Grill, but she pointed me to a blog post where she had documented her visit to Portland. Pretty awesome right? I received many more suggestions from other friends too. But is that all I needed to take action? Maybe for some people. 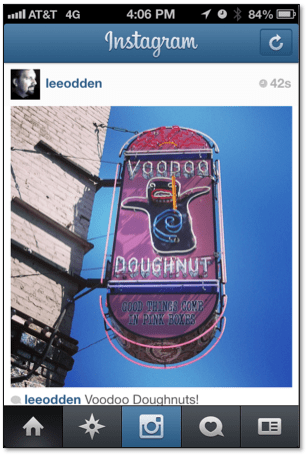 But I needed more information, especially about Voodoo Doughnuts. So what do you do when a friend recommends something and you need to get more details? 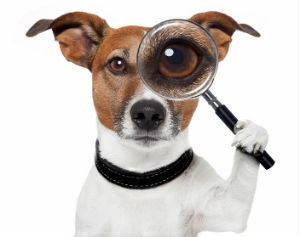 Where do you go to get more facts and information as well as to validate their recommendation? Yes, that’s right. You Google it. 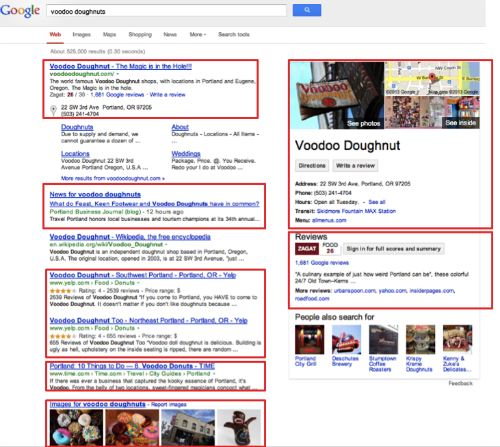 Lucky for me the search results for “vodoo doughnuts” reveals a cornucopia of useful information including reviews, local information, coverage in local and national press, the business website, map, address and even photos of the product. That was enough for me. 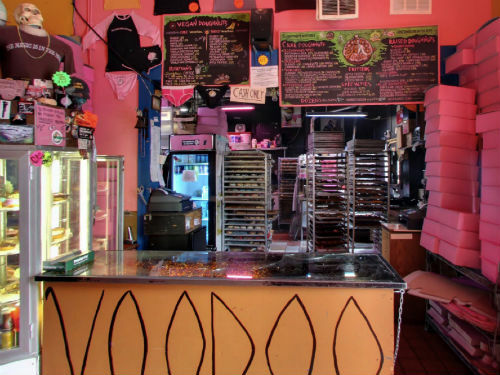 I knew I needed to include Voodoo Doughnuts in my presentation. 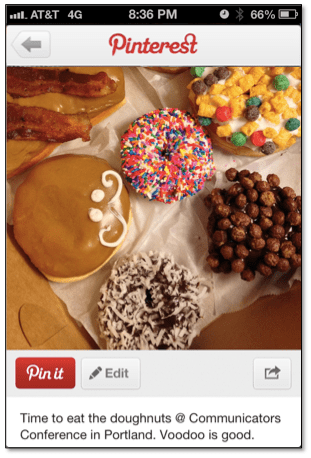 If for nothing else, to experience the freak of sugary gastronomy that is known as a “Bacon Maple Bar“. Arriving at the store didn’t disappoint and of course I had to take photos. And what do you do with those photos? 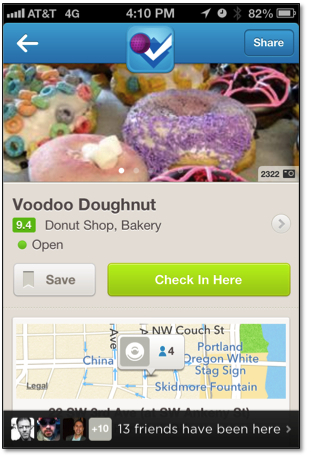 You use them when you check in on Foursquare. Then share to Instagram and Pinterest of course. The takeaway here is to think about the ways in which your target audience discovers, consumers and acts on information so you can give them what they want. Optimizing for the customer journey means bringing in content, social media, search, advertising and even PR to help your brand become the best answer whether customers are asking their friends on Facebook or searching on Google. It may not be practical to literally put yourself in your customers’ shoes, but maybe there’s an opportunity for a virtual “ride along” by talking to sales and business development staff or product marketing at your company. As much pressure as there is for ROI, don’t solely focus on optimizing for transactions, but optimize for experiences as well. Is there a proactive effort at your company to map the customer journey? If you have multiple, distinct customer segments, do you identify the sales cycle for each group? What are some of your challenges and successes?